This page is updated regularly with more questions and answers. Why do you sell only handmade items? I want to honor this uniqueness in the textiles, in the weavers, in you who seek to increase and cultivate these qualities in your life by purchasing handwoven textiles. I act as a conduit, a tramite, to bring these textiles and the qualities they exude to you. I have investigated importing commercially-made textiles. However, the commoditization of the textile industry runs counter everything I seek to do with Sardinian Arts. I want to help preserve a beautiful tradition and island, and those who maintain the traditional, in a sustainable manner. What do you do with Sardinian Arts? With Sardinian Arts, I share my love of Sardinian handweavers, their art, and Sardinia in general; and I seek to help preserve, protect, promote, encourage, and advance the arts, culture, heritage, land, economy, and people of Sardinia in a sustainable manner. What I do is based in love and respect, not profit-seeking. Why can’t I buy your textiles directly online? Fine handwoven Sardinian textiles are made one at a time by the hands of weavers who put their heart into each row and fiber of every weaving. See more on the post The Indescribable Energy of Beautiful Handwoven Sardinian Textiles. And contact me if you would like one! What is the difference between handmade, hand decorated, and mill-made? The difference has to do with the time and care taken to weave a textile, whether it’s considered art or commercial, and the cost. A brief description is below; see the post Textile Classifications for more information. 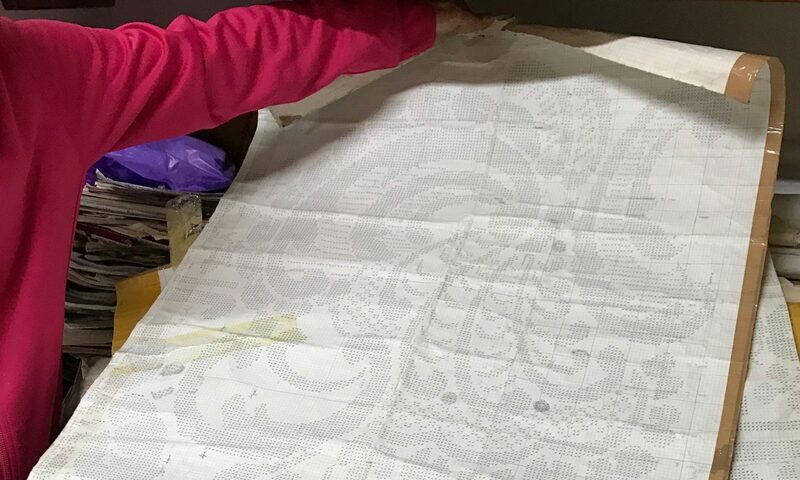 Unfortunately, textiles — including those in Sardinia — are often mis-classified, and hand-decorated and mill-made textiles are too often marketed and sold as handwoven, when they’re not. What does handmade textile or handwoven mean? Handwoven textiles are made completely by hand, using looms where all movements and beating are done only by hand/foot, and not by a hydraulic, electronic, or computerized loom. See the post Textile Classifications for more information. Hand-decorated textiles are made by hydraulic, electronic, or computerized looms, where the beating is not all done by hand/foot. The weaver stops the mechanical beating of the loom to make pibiones and/or add other decoration by hand. How do I know your textiles are handmade? Integrity and love of the handweavers and their art. 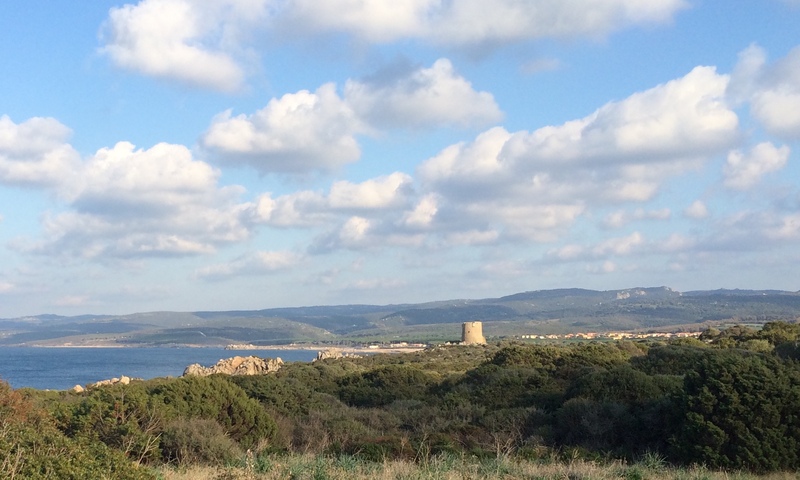 I have visited weavers, studios, shops, and mills across Sardinia. I know those who weave by hand — very few still do professionally — and those who work with power looms. I work only with the best of the true hand weavers. This is a matter of integrity for me and for the weavers. I will never present or sell a hand-decorated or mill-made textile as handmade. To me, to Sardinian Arts, and to the hand weavers, artigianale means what it traditionally meant: made by hand, using traditional patterns and tools, in the traditional way. The traditional way requires care, skill, and time. Across Sardina, the term artigianale is used much more loosely, to signify anything made using a traditional design, pattern, or recipe of Sardegna, no matter if the item is made commercially, in small batches, or truly by hand. The ambiguity of how the terms artigianale and handwoven are used in Sardinia puts the true handweavers and other artisans who work by hand at a disadvantage, often confuses buyers, and ultimately endangers the future of handweaving and commercial weaving in Sardinia. Commercially-produced textiles, ceramics, knives, and other artwork, as well food and other items that are not necessarily made by hand, but are made using a traditional Sardinian design and symbolic of Sardinian heritage, are often marketed as artigianale in Sardinia. Similarly, textiles are often mis-classified, and hand-decorated and mill-made textiles are too often marketed and sold as handwoven. For instance, a mill-made rug may be marketed as artigianale and sold for €30, yet the truly handwoven rug of the same size and design is €300. Textiles that are actually hand-decorated (where a small amount of hand-decoration is added to a textile otherwise made by a power loom) may be sold as handmade, for the same price as a truly handmade work of textile art. Lost in such cases is the recognition of the time (minutes for machines to produce the mill-made textile, days for a woman to weave the handmade art), quality, and essence of the handmade art. Why don’t you import commercial textiles? I can write and talk at length on this topic. For now, if you read the following question and answer, you’ll begin to understand why! Do you work with the custom houses and mills in Sardinia? I considered opening a related branch of business working with mills and the custom houses (power loom shops) in Sardinia. However, after visiting mills and the shops running power looms and thoroughly investigating and considering business practices, import regulations, delivery issues, costs, and many other factors, I decided not to pursue commercial imports. I did not feel it would be in keeping with my dedication to conserving Sardinian culture and improving the overall commerce of the island. If you would like a custom rug or textile, I can help you. The handweavers make custom orders on a regular basis. Why are your textiles more costly than the rugs/pillows/etc I bought when I was in Sardinia? I sell only textiles that are truly handwoven. Most shops and studios in Sardinia use the terms artigianale, handmade, and handwoven in a very ambiguous manner to describe all items made with a traditional design, pattern, or recipe of Sardegna, no matter if the item is made commercially, in small batches, or truly by hand. The ambiguity of how the term artigianale is used in Sardinia puts the true handweavers and other artisans who work by hand at a disadvantage. An experienced handweaver will weave a textile row by row, pibione by pibione, manually counting hundreds, thousands, even hundreds of thousands of threads over days, weeks, or months to craft a work of art. Their heart and essence go into making a unique textile, and the feeling is tangible in the finished piece. Watch the film to see the handweavers in action! Mills produce high volumes of identical textiles in minutes. While the quality of Sardinian mill-made items is high, the textiles are not handmade. When you buy a handmade textile, you are buying art (and yes, you can use it! ), which takes time, skill, dedication, effort, concentration, and the love of the artist to make. You’re paying the artist (and minimal costs for shipping, import, etc), not the factory. A mill-made pillow sham may be €30 in a tourist shop; a truly handwoven pillow sham of similar design and size may be €300. I bought rugs/pillows/etc when I was in Sardinia, and wish I had bought more. Can I get them through you? I can bring you handwoven items. In most cases, the items tourists buy in Sardinia are not handwoven, but mill-made textiles that sell for a lower price than handwoven textiles. And, unfortunately, sometimes items that are hand-decorated are sold as handmade, at correspondingly higher prices. Also see the questions and answers above. Yes. I organized and curated Sardinian Textiles: An Exhibit of Handwoven Art, with a number of related events, at the Italian Cultural Institute – San Francisco in January and February of 2017. In the future, I will hold artist-featured shows and have small trunk sales events. Watch this website, the Facebook page, or contact me for more information. Can I have a custom piece made? Yes. I can work with the handweavers to have them design and weave a textile for you, or realize your design. Do you sell to interior designers? I’ve found that most interior designers seek to work with the commercial power loom shops and mills. If you are a designer who seeks truly handwoven art, I can help you. Do you work with clothing and bag designers to source from Sardinia? I’ve found that most clothing and bag designers who contact me seek commercially-made fabric with traditional Sardinian designs to make items of their own design, produced outside Sardinia. I seek to help preserve, protect, promote, encourage, and advance the arts, culture, heritage, land, economy, and people of Sardinia in a sustainable manner. Most requests for sourcing, partnerships, or commercial endeavors that come to me do not support these goals. Your website address, physical store address, etc. I’m going to Sardinia. Can you help me connect with the hand weavers? Do you have links to other information about handweaving and Sardinia? Yes! See the Links page, which I update occasionally, and the Sardinian Arts Facebook page. Do you have press kits and/or photos about the weavers we can use? As of August 2018, I am in the process of compiling information about, and obtaining permission from, several handweavers so that I can provide such information easily online.